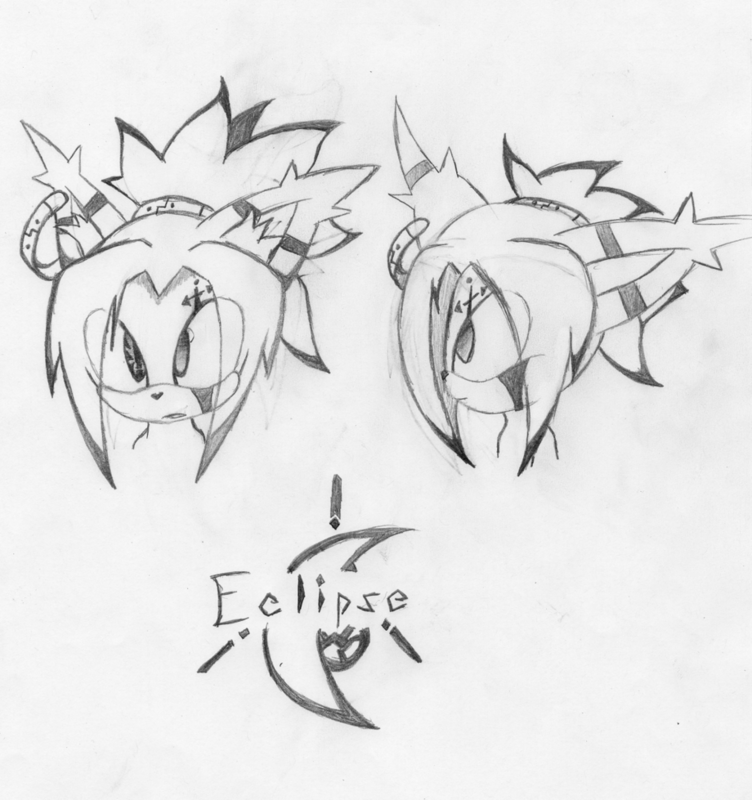 This is Eclipse the Lost twin brother of Soul. Dislikes: Perv/ Losing/ Mistaken as a Female/ Talked down/ No honor/ Picking on the weak. When he was 7 years old he was taken away from his family to a unknown planet called Earth. Trained by his fake father, Nick Zero, to be the ultimate martial artist and assassin, Eclipse was not taught to speak. Instead, the parts of his brain normally used for speech were trained so he could read other people's movements and body language and predict, with uncanny accuracy, their next move. This ability lives up to in Greek mythology had the gift of copying other ability, but was cursed so that the use of this ability is a heavy price . This closely relates to his capability of seeing his opponents next move at the cost of being unable to speak but one or 4 words. After striking a deathblow on of the agents, he read the target as he died, and saw death as he saw it. He realized murder, like Nick Zero ways, is wrong, and ran away from his fake father. 1:Copied powers may only be temporary. 2: Only limited to Two power at a time. Martial Arts Expert: He had been on planet Earth for some time now and had study and trained in the US for various martial arts for 3 years. He has mastered 27 styles of martial arts including Ninjitsu, Taekwondo, Judo, Jujitsu, Hapkido, Wing Chun, Varma Ati. He has effectively combined the martial arts he has mastered into a unique style that suits his strengths. Expert of Stealth: His Ninjutsu training has made him a master of stealth capable of breaching high security facilities with ease and without being detected. Expert Marksman: in part of his training in Ninjitsu, Eclipse almost never misses his targets, 7/10 times he's successful. Master Detective: He is widely considered as the World's Greatest Detective, capable of observation, forensic investigation, and inductive and deductive reasoning of the highest caliber. His race intuition is an unlearnable trait and one of Eclipse's most effective tools. Given any mystery, he can arrive at any conclusions with a fraction of the data. Magic Eye of Power Replication: On his Left eye is the source of his power, able to mimic and copy the abilities of others around oneself by just watching them for hours. He usually get the job done by talking to them in a friendly matter.